In a strange development Overwatch Hero and explosives-obsessed outlaw, Junkrat, has lodged an official complaint against Blizzard. In his filing against the company not only does he cite “unfair representation” but “impossible body standards”, resulting in “serious and lasting harm to his future earning potential”. In a bizarre twist, Junkrat has also pointed the blame squarely at Roadhog and Reinhardt. For anyone unaware of Junkrat and specifically Overwatch, he’s part of an elite group of soldiers formed for the sole purpose of peacekeeping. 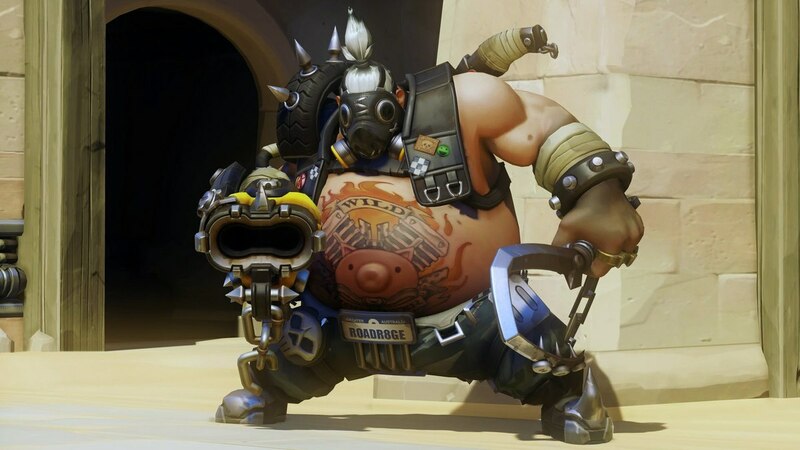 Although he hasn’t always fallen on the side of legitimate work, both he and Roadhog are now on the right path. Despite that, it seems Junkrat has taken a grim view on how he’s being portrayed. We caught up with him between Skirmishes. If you've ever seen Roadhog or Reinhardt, it’s fair to say they’re well bodied men. Reinhardt is the epitome of male physique while Roadhog could be described as its excess. Despite their differences, they’re both the perfect specimen in their own right. Even Widowmaker, the much loved femme fatale, is taken aback by both - certainly Roadhog. “I often stare in wonder at the fine specimen. How you say? Si bien rond. So beautifully round”. Unsurprisingly, Junkrat isn’t happy about the attention the other men in the Overwatch lineup are receiving and he feels it’s all because of how Blizzard are portraying him. 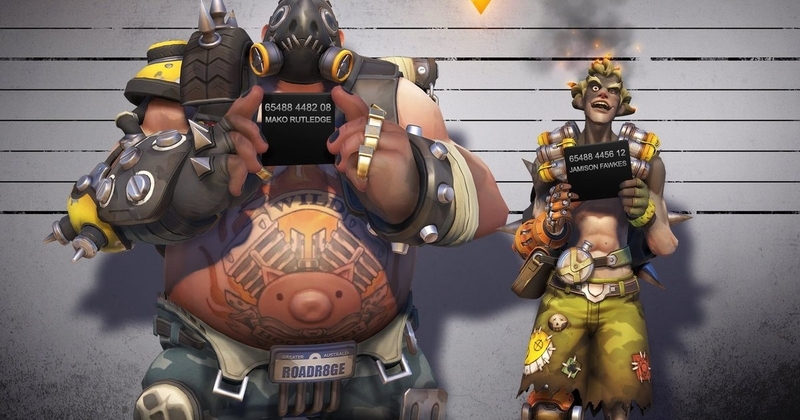 Junkrat's relationship with Roadhog has become strained under the constant pressure of needing to "bulk up"
Widowmaker describes Roadhog as "the perfect specimen."